After an hour of exploring the backwaters of the creek, I turned towards shore and I saw a muskie following about 6 feet behind me. 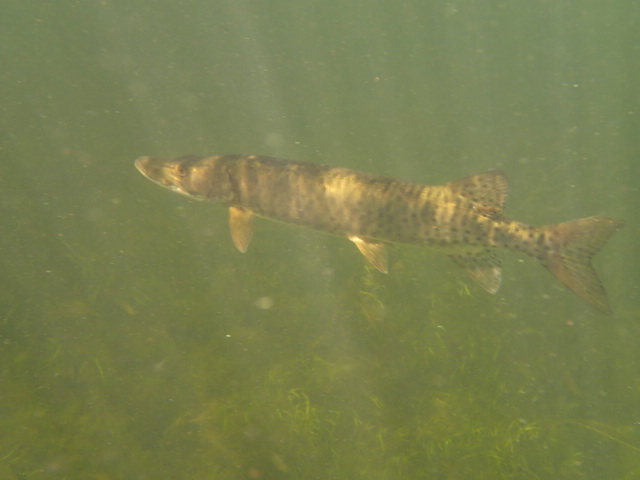 When I turned toward it, the muskie did not move away. This 3 foot fish exuded a “presence”, and I wasn’t sure I was welcome in its domain. At one point it faced directly towards me, and I hoped that I didn’t have any resemblance to a large muskrat. For 3 days I could see those eyes staring back at me. They were the eyes of a living being completely wild and free – exuding the immenseness of nature. Jed getting ready to transport the muskie back to Lake Minnetonka from the creek. 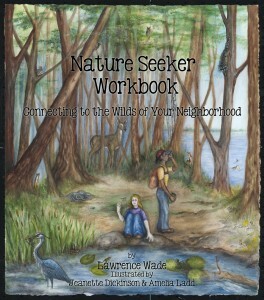 This entry was posted in Nature Notes, Photography/Art, Summer. Bookmark the permalink. Amazing story! 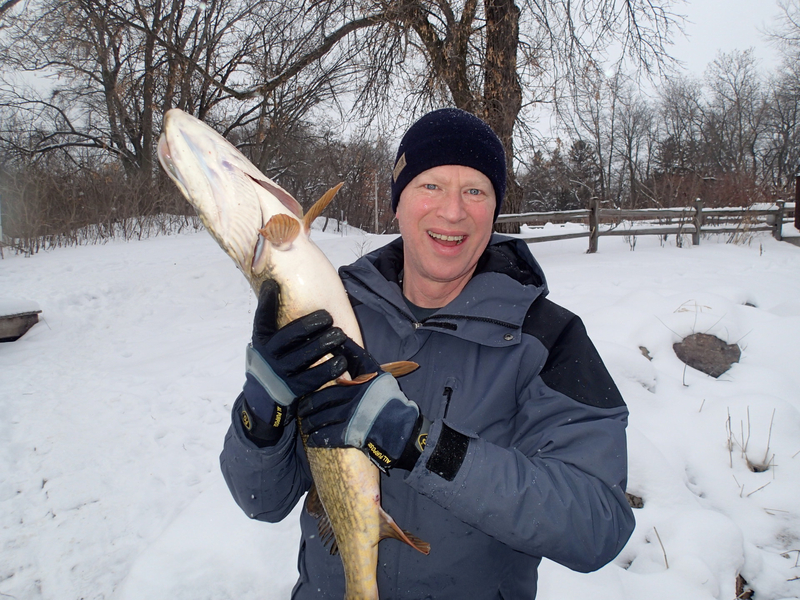 I didn’t realize there were any muskie’s in Minnehaha Creek but seeing is believing. Glad for you the water was clear. Thanks for sharing this muskrat and muskie tail. Larry were there any other fish in there? I haven’t dove that spot for about a month and there weren’t that many different species in the creek back then when the water was higher- not like last year at this time. I dove with a big muskie today in the lake and he too wasn’t intimidated by me. That’s a Northern Pike in the photo, FYI. The bottom photo is a pike, that is. The top photo is of a muskellunge. Any aquatic biologist could confirm this.